Our practice manager Gabby Rocco is usually the first, and often most frequent, point of contact patients have with Manchester General Surgery. 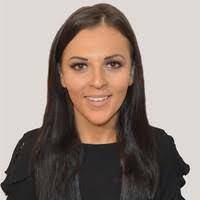 With years of health care experience, she is responsible for the smooth running of our clinic and is involved in a wide range of activities including patient care, developing and supervising appointment systems for our patients and clinicians, ensuring accurate records are kept, and liaising with local health organisations such as doctors surgeries and clinical commissioning groups. Gabby works with a variety of staff who work from or are based within a hospital environment which typically includes consultants, GPs, practice nurses, medical secretaries, receptionists, dietitians and pharmacists. Before taking this role, Gabby studied Psychology and obtained a BSc with honours and an MSc in Occupational Psychology.